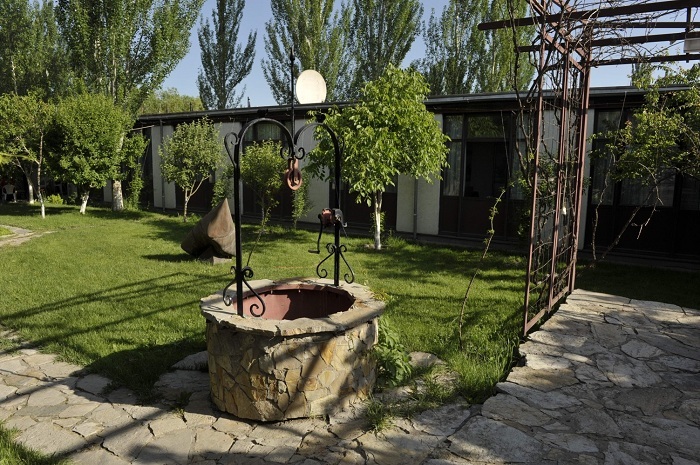 Berlin Art Hotel in Gyumri is a social pilot enterprise of the German Red Cross in Berlin. The hotel opened its hospitable doors to the guests in 1996. It is located in the heart of Gyumri, within a short walking distance of the historic market, restaurants and cafés, as well as museums and ancient churches. The main bus station is 10 minutes walk from the hotel. What sets this hotel apart from other local hotels is the Art Gallery. 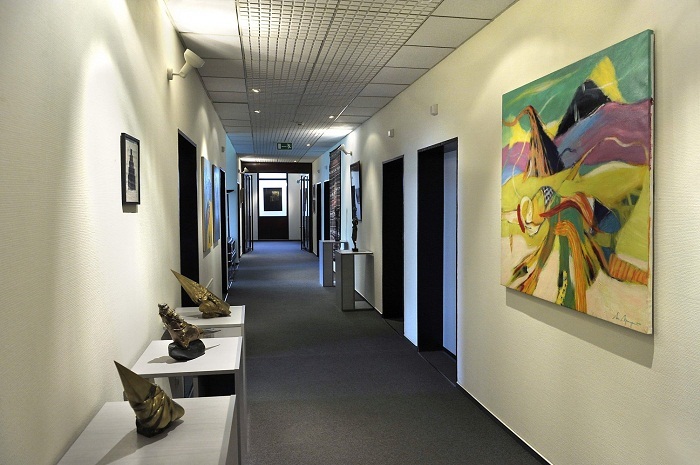 Paintings and sculptures by local artists decorate all rooms of the building, as well as the courtyard, providing the guests an exciting opportunity to learn more about the Armenian Art Scene. 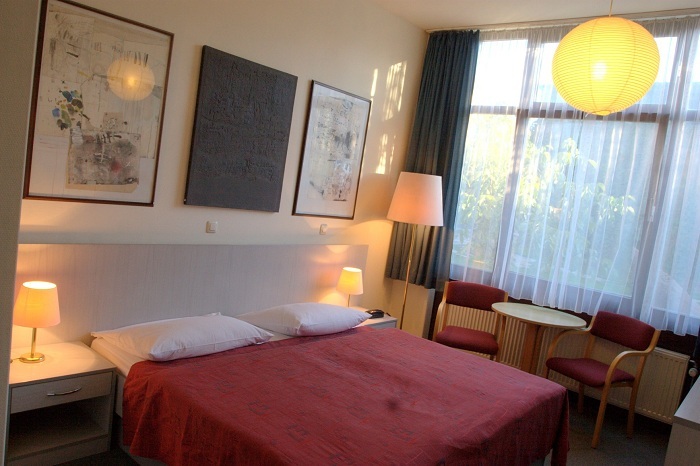 In addition to that, Berlin Art Hotel organizes frequent meetings with Armenian artists. 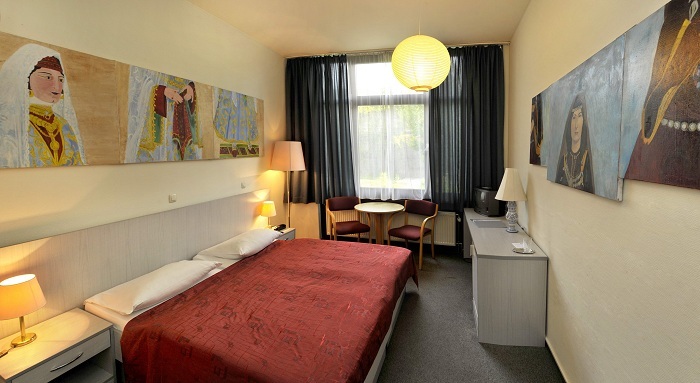 satellite and local TV channels, hair dryer, work desk, wireless and cable Internet, en-suite bathroom, direct telephone and fax lines, gift shop, free newspapers, free parking, laundry/ironing services. As mentioned above, all the rooms are adequately equipped and decked with original works of modern Armenian art. Each room features the works of one artist. Lunch and dinner can be arranged for the guests upon their request. The facility is handicap accessible. From credit cards only Visa is accepted. The hotel features conference facilities in the form of a conference hall for up to 40-45 people and a meeting room for about 12 people. Berlin Art Hotel offers a small and comfortable restaurant for its guests with a variety of traditional Armenian dishes and drinks. Vegetarian meals are also available upon request. Just choose the dish you prefer and enjoy the warm atmosphere of the hotels’ gallery dining room, surrounded by art. For special nutrition requirements guests can consult the hotel chef upon arrival or just inform the front desk.